The Cockcroft Institute recently held its second particle accelerator school at the start of November. The school was attended by 23 students from 5 different Universities and ASTeC. The two week school was split into two parts with the mornings dedicated to lectures, including a talk on the new proton therapy centres from Ranald MacKay from Christie Hospital, and the afternoons dedicated to a design exercise. For the design exercise the students had to do a complete design of a 3rd generation light source. The school was closed with a talk from Ian Martin from Diamond Light Source on the facility commissioning. 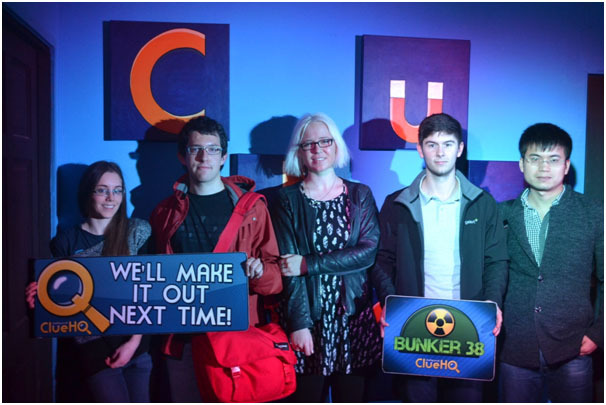 The school also had a social programme including meal, a team building exercise at an indoor climbing centre and a trip to ClueHQ where each of the four groups had to escape from a room by solving puzzles. Unfortunately none of the students were able to escape and had to be let out.